NY Giants wide receiver Odell Beckham Jr signed the largest shoe contract Nike has ever offered a football player. It’s reported he’ll make $29 million over 5 years. While this is a huge amount for football, the shoe contracts for NBA players are much higher. All-star LeBron James reportedly has a $1 billion lifetime contract with Nike. 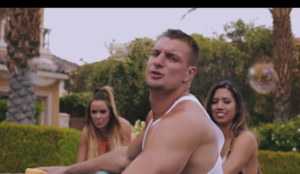 New England Patriots Rob Gronkowski is known as one of QB Tom Brady’s favorite target on the field and a guy who seems to enjoy life to the fullest off the field. In his latest endeavor, he’s starring in 3LAU’s “On My Mind” music video. LaVar Ball is making headlines again with his “Stay In Yo Lane” t-shirts. The shirts sell for between $50-$60. The phrase came about after his comments during an interview with Fox Sports’ Kristine Leahy. New England Patriots Tight End Rob Gronkowski made a cameo at Sean Spicer’s Wednesday press briefing while the Team was visiting the White House. He popped his head in and asked Spicer if he needed any help. Spicer laughed and replied, “I think I got this but thank you. Maybe. All right, thanks man. I’ll see you in a minute.” Then added, “that was cool”. It should have been a great night for OKC’s Russell Westbrook. He made history with the highest scoring triple double in playoff history with 51 points, 13 assists and 10 rebounds Wednesday night against the Houston Rockets, but the Rockets came on strong in the 4th and Westbrook went cold. The Thunder is now down 0-2 in the series. Rockets 115, Thunder 111. The Golden State Warriors were without Kevin Durant Wednesday night but still managed to pull out a game 2 win at home against the Portland Trailblazers. Coach Kerr hasn’t decided if KD will play on Saturday when the series heads to Portland for game 3. Warriors 110, Trailblazers 81. Rounding out the night, the Washington Wizards beat the Atlanta Hawks to go up 2-0 in the series. The Dallas Cowboys win streak is still alive. In Thursday night’s matchup against the Minnesota Vikings, the Cowboys capitalized on Vikings mistakes and turned the game in their favor. Even though it wasn’t a great night for the Cowboys, they managed to win their 11th straight game. Cowboys 17, Vikings 15. New England Patriots Tight End Rob Gronkowski’s season is likely over. He is scheduled to have back surgery for a herniated disk on Friday. The Patriots will miss Gronk for his play and his leadership. They stated: “Rob has always been one of our hardest workers and was voted captain for the leadership he provides on our team.” This will be Gronk’s 8th surgery of his career. For the second time this year, a former professional player was a victim of road rage. Joe McKnight, former New York Jets running back and star at USC, was shot Thursday afternoon. The police are investigating the incident and potential motives. The Golden State Warriors Draymond Green can’t seem to keep his limbs in check. After Draymond was fouled by Houston’s James Harden, he kicked him in the head. The NBA League office called Draymond’s flagrant foul an “Unnatural leg extension, foot made contact with head.” The Warriors lost the game in the second overtime period, ending their 12 game winning streak. Rockets 132, Warriors 127. The Oklahoma City Thunder are heading to the Western Conference Finals to take on the Golden State Warriors. Beating the tough San Antonio Spurs in 6 games seemed like a dream early on as the Spurs only lost one game at home all season and were considered almost unstoppable. But Russell Westbrook and Kevin Durant did not give up and now have their eye on the mighty Warriors. Thunder 113, Spurs 99. The New England Patriots’ Rob Gronkowski was selected to grace the cover of the insanely popular Madden NFL ’17. 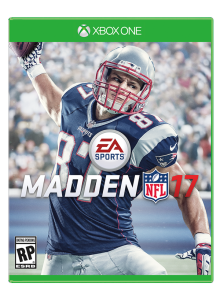 Twenty-six year old Gronk told ESPN, “It’s a dream come true, going into my seventh season and being on the cover.” Gronk is having an exciting off-season as he’ll also be featured on the cover of GQ magazine. Another exciting weekend of football. In the NFL, the defending Super Bowl Champs, New England Patriots continued to impress with a big win over the Buffalo Bills on Sunday. The Bills came out to an early lead but then the Pats found their groove and between Julian Edelman and Rob Gronkowski, the Pats opened up the game and even with a valiant effort by the Bills in the 4th quarter, the Pats held off for the win. The Pats are clearly the team to beat in the AFC east. Patriots 40, Bills 32. The Dallas Cowboys suffered a huge loss in the third quarter against the Philadelphia Eagles when QB Tony Romo was slammed to the ground as he was trying to recover a fumble. 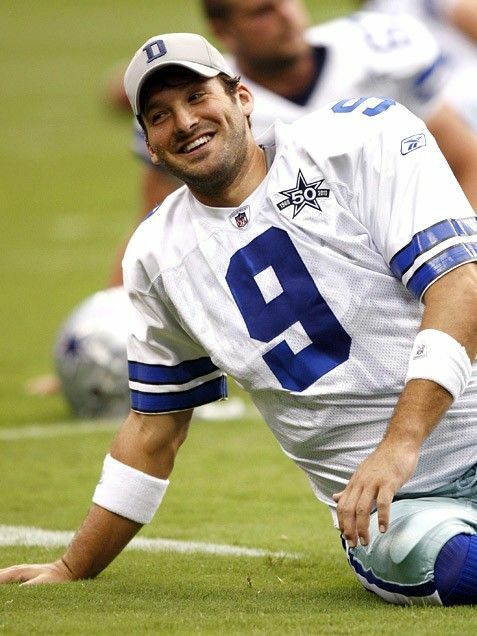 Reports from the team say that Romo fractured his left collarbone (same injury he had in 2010). 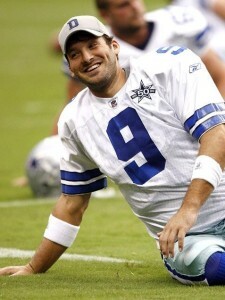 Romo could be out for 6-8 weeks. The Cowboys already lost their top receiver Dez Bryant for 6-12 weeks so losing their QB could mean a disastrous rest of the season. Cowboys 20, Eagles 10. Aaron Rodgers and the Green Bay Packers avenged their NFC title game meltdown last year against the Seattle Seahawks. In a physical matchup and down 17-16 in the fourth quarter, Rodgers found a weakness in the Seattle D and exploited the holes to come back and win 27-17. The Seahawks are now 0-2.